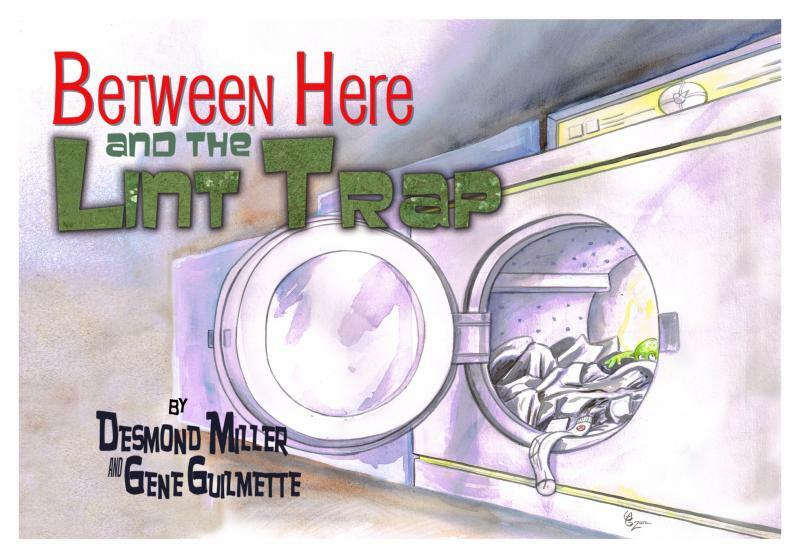 Yes, this is not my normal type of book to review, but after meeting the artist, Gene Guilmette, at Rose City Comic Con in 2015, I couldn't pass-up the chance to review this book. (It also helped that he provided the copy to me a no charge.) But... I am about no bias reviews, so I enter into this review with full disclosure and no reservations. Those that are closest to me know that I am a big kid at heart. Not only do I collect comic books and trad paperbacks, but I also collection action figures, Funko Pop vinyl figures and miscellaneous toys. One of my favorite books when I was young was "Where the Wild Things Are" by Maurice Sendak. This book took me back to those days. Without giving away too much, this is the story of Jay J trying to find his favorite socks; Boonie and Koonie. His search takes him into a fantasy land of the imagination when he looks for his socks in the clothes dryer. The art works very well with the story. I'm actually fairly eager to check-out "Between Here and the Drain". Perhaps I'll be see Gene at this years Rose City Comic Con as well. I would highly recommend this to anyone who has young children. I'm no good at determining age ranges because by age 10 I was already reading Stephen King stories.